Swami Chinmayananda talks about the secret of success based on the Bhagavad Gita. 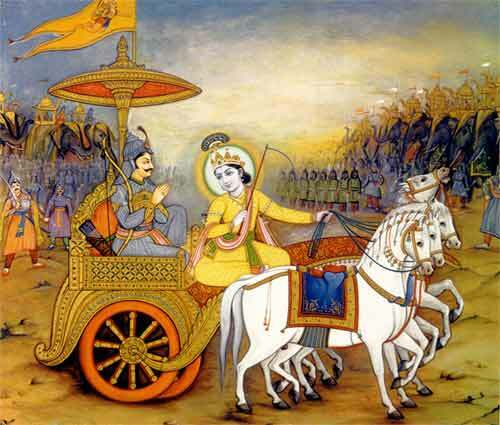 A verse from the Bhagavad Gita discloses the secret by which success can be assured for spiritual seekers. ‘To those who worship ME alone, thinking of me alone, thinking of no other, ever self-controlled, I secure that which is not already possessed (yoga) by them, preserve for them what they already possess (kshema)’ (IX:22). If we consider this as a tip for the people who are sweating and toiling in the world, the verse yields a code of instructions by which they can assure for themselves complete success in their life. If a person is capable of maintaining self-willed thought (sankalpa) consistently and with singleness of purpose, he is sure to succeed in any undertaking. But unfortunately, the ordinary person is not capable of channelizing his thoughts. Therefore, his goal seems to be ever receding. Since his goal seems to be ever changing, his determination to achieve a particular goal constantly changes. To such a man of weak determination no progress is possible in any line of undertaking. The greatest tragedy seems to be that we ignore the fact that thoughts alone create. Activities gain potency from the power of thought that feeds them. When the feeder is choked and dissipated, the executing power of the external activities becomes feeble. Thoughts from a single-pointed mind must flow steadily in full inspiration, enthusiasm and vigor towards the determined goal that the individual has chosen for himself in life. Channelizing the thought power towards the goal is the first step for gaining success in one’s endeavors. But mere thinking is not sufficient. Many of today’s youths, though capable of consistently maintaining a goal, are not ready to enter the field and invoke the possibilities dormant in the situation. Hence the need to do Upasana (worship). Through worship we invoke the ‘deity,’ meaning ‘the potential in any given field.’ This should be a total effort for carving out one’s victories in one’s field of endeavor.